One man was primarily responsible for the existence of the groomed cross-country ski trails at Chief Joseph Pass. That man was Gordon Reese. 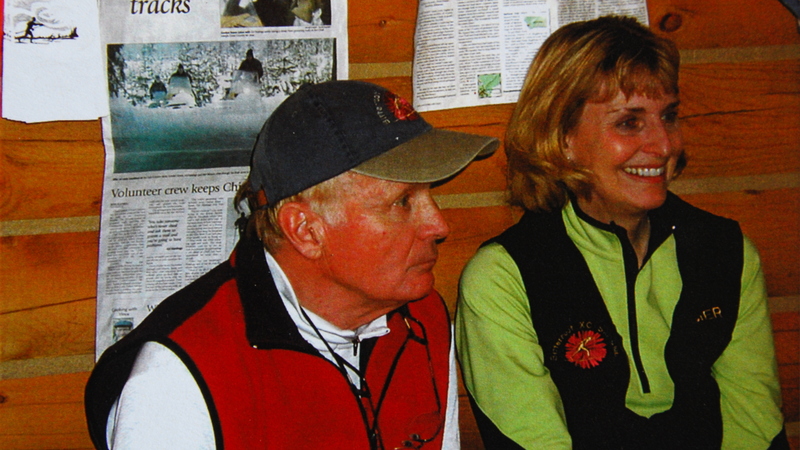 Gordon came to our area of Montana from Alaska where he had enjoyed skiing on groomed trails. After several winters spent skiing in and around the Bitterroot Valley, he concluded that a trail system near Chief Joseph Pass would be the best possible choice for a groomed cross-country ski trail system. The elevation (7,000’+) and location of the pass was ideal. It appeared to receive the area’s earliest, latest, and most reliable snowfall almost every winter. And the gently rolling terrain allowed for trails serving multiple ages and abilities. Chief Joseph Pass is near the state line between Montana and Idaho and is bisected by the Continental Divide National Scenic Trail. Public land in the area is managed by three Districts, the Sula District of the Bitterroot National Forest, the Wisdom District of the Beaverhead National Forest (both in Region One), and the North Fork District of the Salmon National Forest in Region Four. Because he lived in the Bitterroot Valley and it seemed the most convenient of the managing Districts, during the summer of 1985, Gordon approached the Sula Ranger Station to request permission to groom trails at Chief Joseph Pass. Unfortunately, for reasons that remain obscure to this day, he was immediately turned down. During 1987, Gordon made another attempt for permission, this time from the Supervisor of the Bitterroot Forest stationed in Hamilton. There was opposition to his plan from a start-up commercial cross-country ski destination—on private property near Lolo Pass. The owners feared competition from a “free” cross-country ski area. (That privately-held operation soon failed because their low-elevation location didn’t receive enough reliable snow.) Again he was turned down. Not willing to give up, early in 1989 Gordon turned to Deb Gale, the Resource Assistant stationed at the Wisdom Ranger Station. Finally discovering a like-minded person (in the Forest Service) who enjoyed cross-country skiing, Gordon’s vision began to move forward. A person with the proper authority in the Forest Service “signed off” on the project allowing it to move forward. 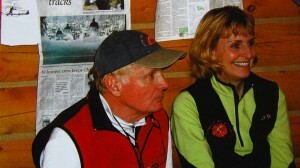 During March 1989, George Corn wrote a letter from the Bitter Root Nordic Ski Patrol to then Forest Supervisor, Bertha Gillam, requesting permission to set track at Chief Joseph Pass. The development of the Chief Joseph Trail System really got moving during the summer of 1989, when Gordon Reese, Deb Gale, Rebecca Konsanke-Cothran, and Bill Avery (who was in the process of replacing Rebecca) worked on the trail layout and flagged it for development. The Forest Service soon pointed out that it was uncomfortable entering into an agreement with a single private individual. So, during November 1989, Gordon Reese, George Corn, and Mike West placed an ad in the Ravalli Republic, notifying people that a new ski club was being formed. About 50 people attended the first meeting—fourteen of those attendees later joined the club. Forest Service personnel present at the meeting were impressed with the turnout and obvious interest in establishing a cross-country ski area. It’s quite apparent that without the original formation of our Club, it’s unlikely the Forest Service would have allowed the development of the Chief Joseph Ski Trails. Because no “free” snow-machines or grooming equipment were available, Gordon contacted the Montana Department of Fish Wildlife and Parks. They had a surplus machine which was offered to the Club. In June 1990, Gordon picked up the 13-year-old snowmobile which had previously been used by a snowmobile club. The machine did not run and was delivered with many of its parts in cardboard boxes. Fortunately a little rehab work put the machine in working order. Later in the summer of 1990, Gordon and several other Club Members cleared and posted the first trails. In the fall, blue diamond markers where put along the trails and maps were installed at all trail junctions. The Club was “officially” formed during November 1990 and eventually became a non-profit organization. Gordon was the lone groomer during the first season, 1990-1991. The next season, Lou Lippert began helping with grooming. Art Shigley also helped. Gordon was president of the Club from 1990 through 1992. The Club was already giving lessons during January 1992. Lou Lippert was the president during 1993 and 1994. Before this, there was no parking lot. Skiers simply parked along HWY 43. After many meeting between MDOT, the Forest Service, and the Ski Club, parking lot construction began during 1994 but was not finished until late in the summer of 1995. The trailhead outhouse was installed during the parking lot construction. Ed Hasting was the Club president from 1994 through 2000. Ed also performed as a groomer during that period (and later). A multi-year project to build a warming hut for the Chief Joseph Area Ski Trails was held back a year because of the 2000 wildfires. The Reese Cabin was finished during 2001 and dedicated during September 2001. Club members invested over 5,500 hours and drove nearly 30,000 miles during construction of the Cabin. Gordon Reese, Ed Hastings and their wives provided the driving force to get the cabin built. Ed Hastings and Sonny LaSalle colluded (against the Forest Service) to make sure the Cabin was named for Gordon. 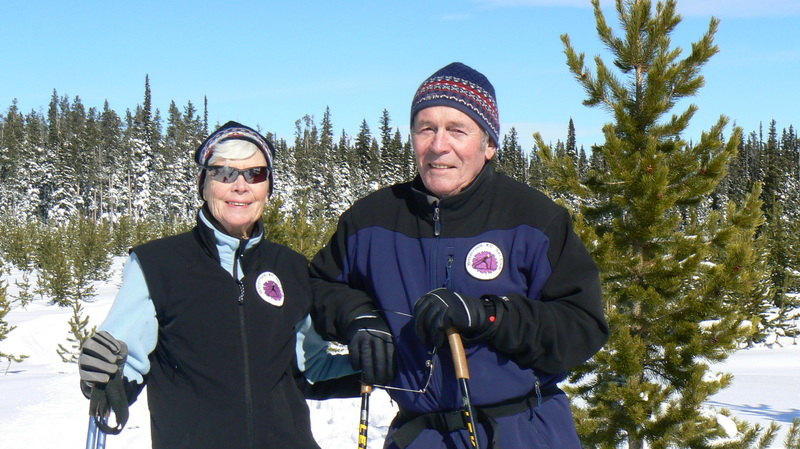 During previous season ski trails were groomed only for classic-style cross-country skiing. For the first time, during the upcoming 2012-2013 season, 12+ miles of new trails will be groomed for skate skiing—these trails are classified as multi-use and will be shared between skiers, snowmobiles, dogsleds, and people on snowshoes. Michael Hoyt is currently serving as the Club’s sixth president, after Gordon Reese, (1990 – 1992), Lou Lippert (1993 – 1994), Ed Hastings (1995 – 2000), Sonny LaSalle (2001 – 2006), and George Corn (2007 – 2010). 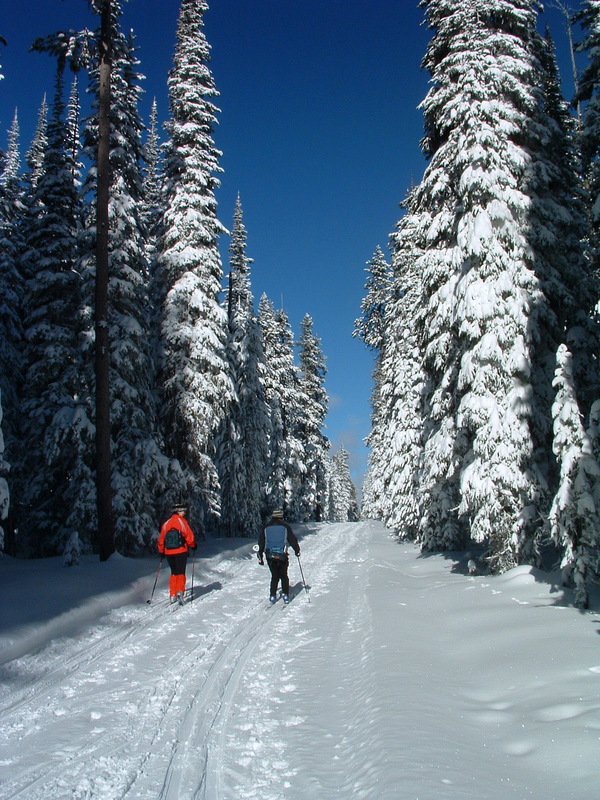 Use of the Chief Joseph Ski Trails has grown from around 600 user-days per season to an estimated 9,000+ during the 2011-2012 season. 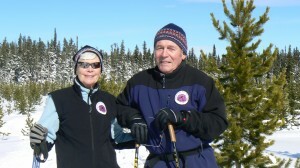 At the end of the 2011-2012 ski season, our Club’s membership was hovering around 440 individuals. We are working increasing that number by continuing to attract more young members and families with children. 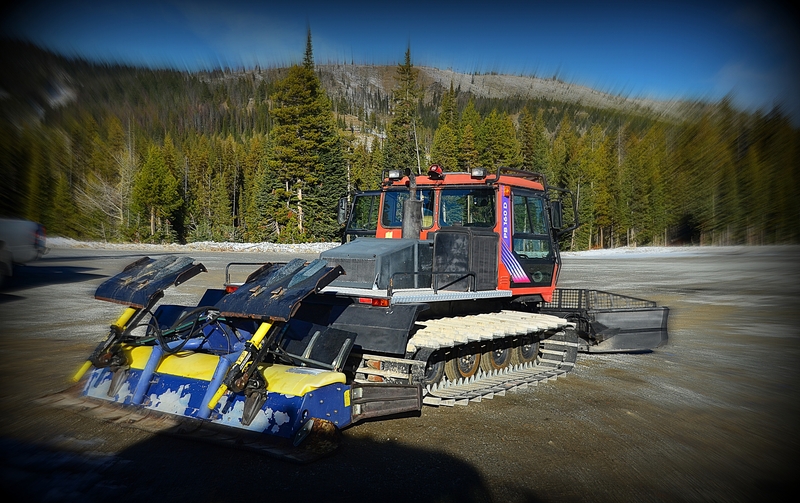 During the 2013-2014 ski season, the Club made an agreement with the Lost Trail Powder Mountain Downhill Ski Area to groom the wider ski trails at Chief Joseph Pass (on a test basis) with a PistenBully snow grooming machine. 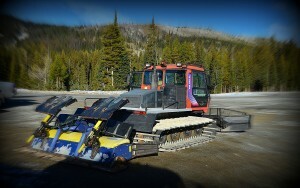 That test proved so successful that the decision was made to prepare all of the ski trails at Chief Joseph Pass for grooming with a PistenBully. In partnership with the Bitter Root Back Country Horsemen, Bitterroot Backcountry Cyclists, and the Bitterroot Cross-Country Ski Club, during August and September (2014), volunteers spent more than 550 hours preparing the ski trails to accommodate Lost Trail’s PistenBully, newly purchased for the purpose of grooming cross-country ski trails. We are looking forward to skiing on what we hope to be the best cross-country ski trails in western Montana.